Who says I shouldn't do this? : Will Eoin Colfer taint Douglas Adams' masterpiece? Will Eoin Colfer taint Douglas Adams' masterpiece? 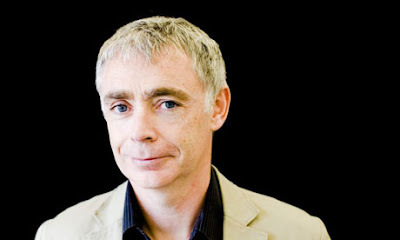 Eoin Colfer (pic) has been asked to write the sixth part of Douglas Adams' Hitch-Hiker's Guide to the Galaxy 'trilogy', and some people are expressing concern. I'm linking to the repost on RichardDawkins.net as well as the original Guardian article, because the comments at RD.net highlight a common concern raised whenever some piece of literature is 'continued', or a classic film is remade. I think Uncle Bertie was wrong. Authors, dramatists, film-makers, indeed creators of any kind are free to draw on any sources for their inspiration, copyright permitting. They may or may not do a good job (though that's often a matter of opinion or artistic judgement). But whatever they do, they will not extinguish the original work, which is available for anyone to experience in its pristine original form. Or even to make yet another adaptation.